Central Valley School District Superintendent Ben Small and East Valley Superintendent John Glenewinkel have a few things in common. They both have had to deal with state-mandated budget cuts in the last few months, they both started their new jobs a year ago and both attend the same Rotary meetings. Glenewinkel is known for his skill with a barbecue and a preference for casual clothes, while Small is known for wearing a suit every day. Though their styles differ, they’re both enjoying their new jobs. 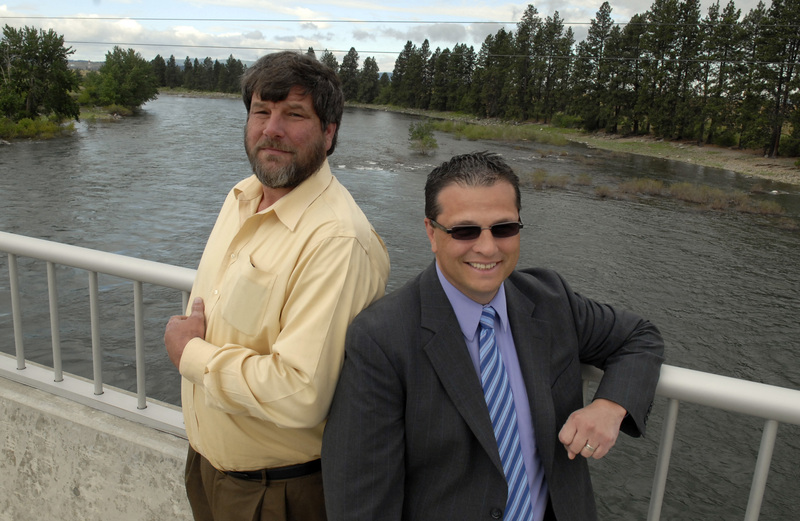 This is Glenewinkel’s third superintendent job, spending time in Republic and Ellensburg, before arriving here. He jokes that it takes three stints as superintendent to get it right – the first time you make mistakes, the second time you learn the job and during the third, you apply what you’ve learned. “It’s really difficult for me to compare this job to the other two,” he said. Glenewinkel tries to involve the community. Public hearings were held recently on budget issues and he lists his home phone number on the district’s Web site so anyone can call him. It seems to be working. Recent comments from board members and the people who have signed up to challenge them in November elections all praise Glenewinkel. The comments help convince Glenewinkel that he’s on the right track, but at the same time he worries. His old district was little enough that Small knew the name of every student, teacher and staff member. He hasn’t been able to get close to that in his first year at Central Valley. “I think the hardest part of the job has been getting to know individual people,” he said. Still, Small was impressed with the response of the district and the community during his literal trial by fire only days after he started his new job. The Valley View fire brought in hundreds of firefighters who camped on school property and many volunteers who offered to help. “It made an impression on me then and it still leaves an impression on me now,” he said. Small said his young family keeps him grounded. His daughter Grace was born in November, and joins big brother Elliot, 4. “My sanity is my family and my kids and enjoying them,” he said. Despite the long hours both are thoroughly enjoying their jobs. “This is where I would really like to be for the next 10 or 12 years,” Glenewinkel said.